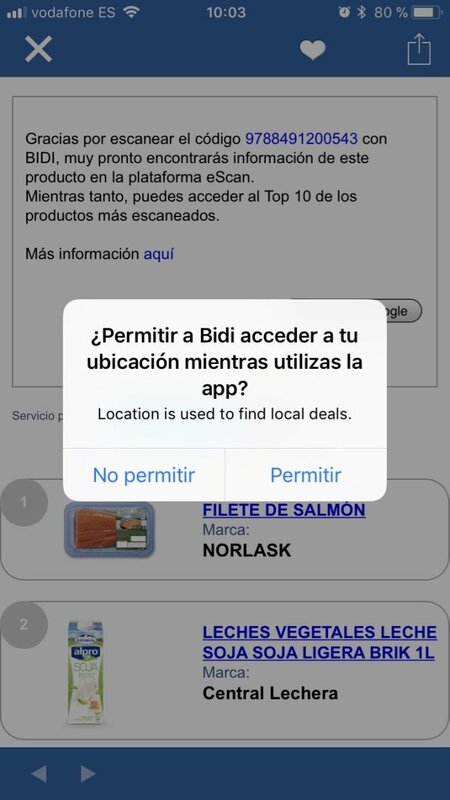 Use your iPhone to scan barcodes and QR codes to receive immediate information thanks to BIDI. 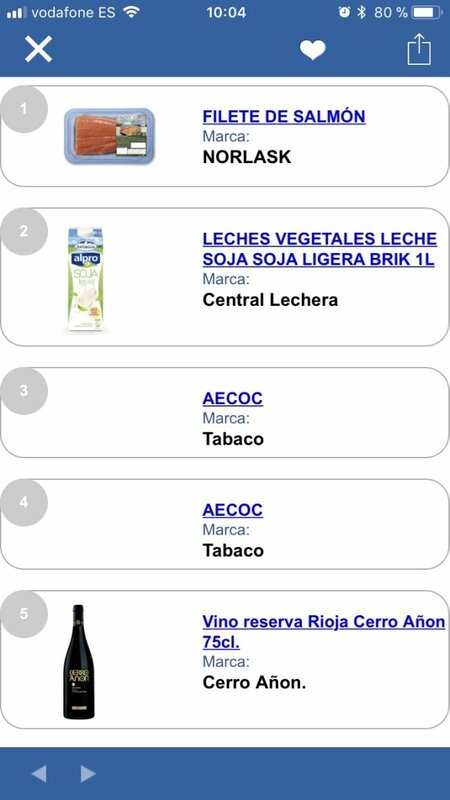 Access extra data about the product you've scanned and even interact with the brand and other users, as you automatically access different information once you scan the item thanks to the eScan service provided by Scanbuy and AECO. Information offered by the manufacturer. Opinions from other users, as well as their comments. Possible promotional or discount vouchers. 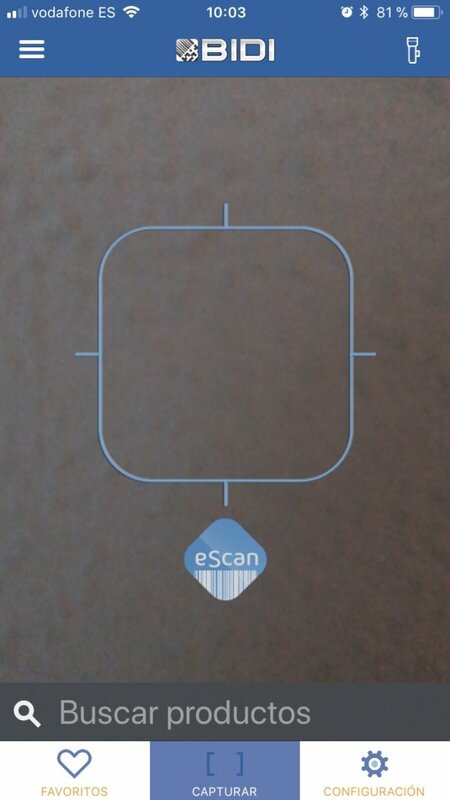 All the latter differentiates BIDI from the majority of apps that scan QR or barcodes. 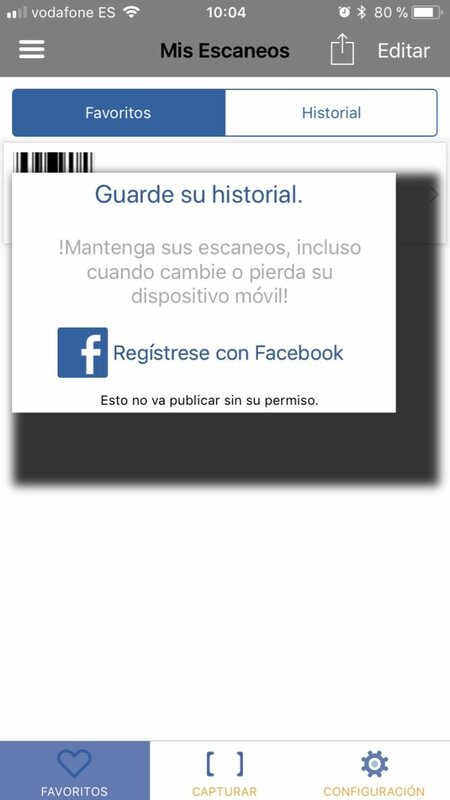 You can also create your own QR codes and, once you sync the app with Facebook, you can share your scans and creations with your contacts so that people can quickly access your contact data by means of your own QR code. A personal shopper in your pocket. You've only got to open the app and start scanning codes. Once scanned, you'll view all the information offered and you can even save a history of scanned elements. 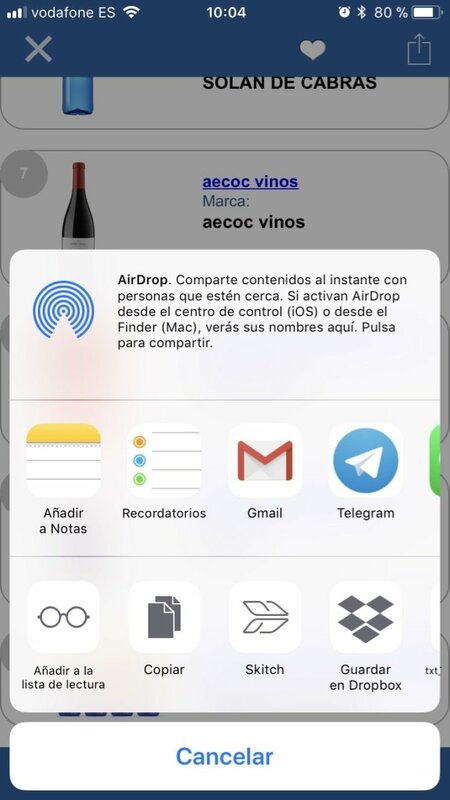 Furthermore, you can access the iOS options to share information through other applications. You have to be careful if you allow the app to locate you always as that will make you drain your iPhone's battery. 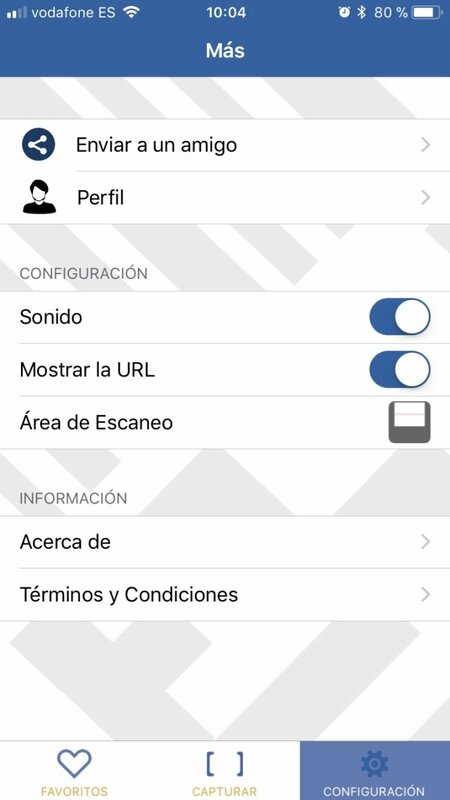 In the settings, you'll be able to find the possibility to enable the synchronization with Facebook, as well as other options such as activating and deactivating sounds or the default scanning area.